Entries tagged with “Chicago Film Archives”. My Last Chicagoland Hollywood On Lake Michigan Presentations! Home Movie Day Is Coming!!! This is a wonderful event where you can take in your old home movies to be evaluated by professional film restorers. If they are in viewable condition you can also screen them that evening for an appreciative audience. 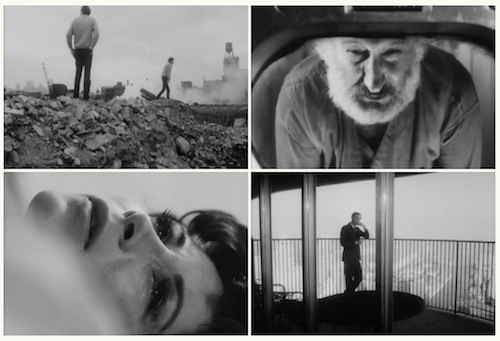 Chicago Film Archives & Northwest Chicago Film Society present…. Go down to the basement and dig out your Super 8 memories of that interminable trip to Idaho or that embarrassing 16mm footage of your mother’s rockin’ bat mitzvah and bring them to the Chicago History Museum on Saturday, October 19 for this year’s edition of Home Movie Day. 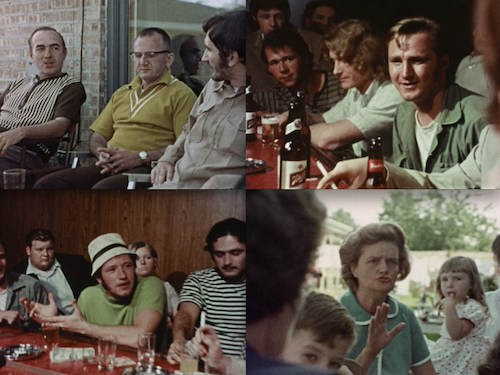 Jointly presented for the third year in a row by Chicago Film Archives and the Northwest Chicago Film Society, Home Movie Day offers Chicagoans the opportunity to gather together and share their celluloid histories. Home movies provide invaluable records of our families and our communities: they document vanished storefronts, questionable fashions, adorable pets, long-departed loved ones, and neighborhoods-in-transition. Many Chicagoans still possess these old reels, passed down from generation to generation, but lack the projection equipment to view them properly and safely. That’s where Home Movie Day comes in: you bring the films, and we inspect them, project them, and offer tips on storage, preservation, and video transfer–all free of charge. And best of all, you get to watch them with an enthusiastic audience, equally hungry for local history. All Chicagoans are encouraged to attend and participate in Home Movie Day. This year’s edition will also spotlight two special neighborhoods: Bronzeville and Ravenswood Manor. Unique home movies will resurrect the rich history of Bronzeville’s storied performance hall The Forum and offer glimpses of surprisingly dangerous boyhood diversions along the Chicago River, circa 1970. Watch out, too, for the home movies of Olympic medalist Ralph Metcalfe. Come for the home movies and stay for Home Movie Day Bingo; prizes include memberships to the Gene Siskel Film Center and Chicago Filmmakers and a $100 gift certificate for home movie video transfer services. Just got this late notice from the Chicago Film Archives about a co-produced event with the Northwest Chicago Film Society happening this Friday. the Northwest Chicago Film Society and Chicago Film Archives present the locally produced feature…. Chicago Film Archives Screening In Garfield Ridge Tonight! Since the southwest side is so terribly under-served by arts organizations and other cultural institutions I wanted to post this real quick. Sorry I didn’t get it up sooner! Chicago Film Archives, The Garfield Ridge Library and the Clear-Ridge Historical Society invite you to a special premiere of this newly restored film about the home front during the Vietnam War. Father Leonard Dubi, and select others who appears in the film, will be on hand at the screening to discuss the film. 8 FLAGS FOR 99 CENTS (1970, Mike Gray Associates, Chuck Olin, Joel Katz) was produced in response to President Nixon’s famous November, 1969 speech when he contrasted the unlawful and vocal anti-war protesters to the respectful “silent majority” who were in favor of remaining in Vietnam to fight communism. This film explores the thoughts and opinions of the “silent majority” represented by the folks living in the Garfield Ridge neighborhood on the southwest side of Chicago. The commentary that arose from the Garfield Ridge community turned the filmmakers’ expectations (as well as conventional wisdom of the times) on its head. Expecting to record pro-war and pro-government slogans and sentiments, the filmmakers were caught somewhat off guard by the thoughtful, nuanced, and distressed analysis articulated by those that were interviewed and recorded. Contractors, firemen, mothers, fathers, barbers, Vietnam vets and clerks have varied and layered thoughts on America’s involvement in the war. Residents of all ages speak to the war in this film with very little evidence of hostility between generations, shattering another iconic image of those politically tumultuous times. Image from the first Festival of African Art; held in Dakar, Senegal in 1966 and featured in the film Rythmes et Images: Impressions du Premier Festival Mondial des Arts Negres – Dakar. Home Movie Day On Saturday, October 17! 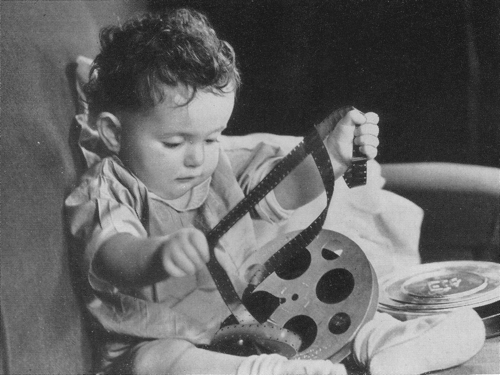 There's great fun to be had for the whole family at the Chicago Film Archives' Home Movie Day! One of the newer film-related organizations in the city, the Chicago Film Archives has quickly grown into an important resource for all of the Midwest. Like many worthwhile non-profit endeavors, the Chicago Film Archives was created for a specific purpose, and then expanded its mission in order to fill a larger need. Started at the end of 2003 to save and preserve approximately 5,000 16 MM films that the Chicago Public Library was letting go, they originally set up shop in a donated space on LaSalle Street, but soon grew out of it. After a long search, they found their current home in a renovated industrial warehouse right on the river at 329 W 18th Street. With climate controlled storage facilities, roomy freight elevators, and plenty of room to grow; the CFA almost immediately began looking to collect and preserve as many other old films as possible. Executive Director Nancy Watrous elaborates, “We started talking about the mission of the organization and what we should be doing, aside from just taking care of this collection from the CPL, and it quickly became clear to all of us that this part of the country needed a regional film archive. There simply was no existing place to take in, track, and try to save the films that represent [the heritage of] the Midwest. So slowly but surely we morphed into a regional film archive.” They worked out an expanded mission, “We take in films that either reflect in their content the Midwest, or that are made by Midwest filmmakers,” and other donated films began pouring in, expanding the collection to over 7,000 items. A major part of the CFA’s mission is to select the rarest and/or most important films and submit grants on their behalf to the National Film Preservation Foundation for preservation as part of our national cultural heritage. Those films which receive grants are then sent to labs which specialize in restoration and preservation of old films. One of the most fascinating and unexpected aspects of the CFA’s mission is the collecting of home movies, which are considered by film archivists and a growing segment of the public to be an important part of our shared cultural heritage. This has led to a fascinating outreach activity known as “Home Movie Day”, where CFA technicians and archivists set up inside a location (such as the Chicago Cultural Center) for a day long celebration of home movies. During the afternoon, interested persons may bring in their old home movies for inspection and evaluation by professionals and/or to donate films to the archive (they can also arrange to make use of the CFA’s transfer and repair services, which are done for a fee). Then later that night, the movies that are most interesting or in the best condition are then shown to large crowds which gather for a taste of Midwestern home (movie) cooking. Which brings us to the fact that the CFA is sponsoring another Home Movie Day on Saturday, October 17 at the Chicago Cultural Center, 78 E Washington Street (Michigan Avenue between Washington and Randolph across from Millennium Park). Interested persons can check in their films and make an appointment to meet with a CFA archivist who will inspect their film and talk about home movie care. Those who brought in films can see their home movies up on the big screen in front of a live audience! David Drazin (a noted silent film musical accompanist who is also interviewed in Hollywood On Lake Michigan, 2nd Edition) will be playing piano behind the films for the full “movie palace effect.” (Which will really provide a dramatic context for that footage of Uncle Morty passing out in his mashed potatoes during Thanksgiving Dinner in 1961). For more information or to schedule an appointment with a CFA archivist call 773-478-3799 or 312-243-1808. Ask for Anne or Nancy. Bringing Chicago To The World is powered by	WordPress 5.1.1 and delivered to you in 0.366 seconds using 39 queries.